As we have threads for the A400M and the KC-390 I thought it would be worth creating one for the Kawasaki C-2 as we start to see some traction and news. The Kawasaki C-2 is a long range twin-engine transport aircraft. In comparison with the older C-1 that it replaces, the C-2 can carry payloads up to four times heavier, such as MIM-104 Patriot surface-to-air missile (SAM) batteries and Mitsubishi H-60 helicopters, and possesses six times the range. The C-2 is being developed to meet the following requirements of the Ministry of Defense: a minimum payload of 26 tonnes, 120 metric ton (264,552 lb 132.275 short ton) take-off weight, ability to takeoff/land on short runways, (Requirement: 500m, almost same as C-1, e.g. Tachikawa—900 m, Kamigoto—800 m, Hateruma—800 m), a maximum payload of 37,600 kg whilst taking off from a 2,300 m Take-off Field Length at a 141 tonnes (310,851 lb 155.42 short ton) take-off weight, ability to fly international airroutes (Requirement: Mach 0.8+; JDA ruled out C-17 as a candidate by its lower cruising speed. Conventional cargo aircraft cannot cruise at optimum altitude on commercial airroutes because of their lower cruising speed and are often assigned to lower altitude by ATC., in-flight aerial refuelling and forward looking infrared systems. The C-2 is obviously being funded and acquired by Japan and we know that the aircraft is currently five years behind schedule. Aalthough the JSDF has requested 10 aircraft in the 2014-2018 period the Japanese Government has only funded seven. While the fiscal 2014-18 procurement plan calls for 10 C-2 transport planes, contractor Kawasaki Heavy Industries is running about five years behind schedule. Funds have been budgeted for only seven of the planes so far. A dearth of C-2s, used to carry combat vehicles and midsize helicopters in addition to personnel, could hinder Japan's efforts to defend outlying islands and respond to disasters. Kawasaki has offered a commercial C-2 but so far this has yet to garner any interest. We also know the C-2 has started appearing in international sales campaigns including a visit to NZ. Japan’s air force said on Friday it will send its new C-2 long-range heavy lift military cargo plane overseas for the first time to show it off to potential buyers in the Middle East and New Zealand. The test bed of Japan’s intelligence gathering version of the Kawasaki C-2 airlifter has broken cover, with photographs emerging of the aircraft undergoing taxi tests. The photo, taken Tuesday at the Japan Air Self-Defense Force base at Gifu, shows a C-2 with enlarged fairings on the nose, tail, top and sides of the rear fuselage. According to documents released by Japanese Defense Ministry’s acquisition agency, the aircraft variant will have an electronic intelligence/communications intelligence suite. I’m surprised Japan is pursuing a C-2 variant for EW/ISR, I would have thought the P-1 was a better platform for this type of work, or even modify a 767 given they already have of number of that aircraft in their fleet. Some images of the aircraft. I think it has a pretty decent chance in NZ, whoever is the first export customer will probably get a fairly significant discount. While the first export customer will likely get a discount they probably take on some significant risk given Japanese doesn't have a history of exporting and supporting military equipment of this size. I also see no reason it couldn't fulfil the Antartic run for NZ which seems to be a desired feature by interested parties. I know NZ has been approved for the P-8 but has yet to formaly order. A combined P-1/C-2 order would make a lot of sense but I guess that depends on what NZ wants to do with maritime patrol. It will largely come down to what the NZ government decides are the requirements for both maratime patrol and airlift. I know the airlift replacement project has been started. So it's probably in the defining requirements stage right now. But yeah, I would agree NZ is probably the current front runner for the first export. Especially if a requirement is put in to do the Antarctic resupply run with no point of no return. The new fleet supply ship is going to be ice strengthend to do summer supply runs so that might relieve any pressure to do heavy lift and leave any need to light and passenger loads. For the RNZAF the other obvious option is the KC-390 which also suffers somewhat from the lack of any outside of Brazil support for military aircraft. Personally I think the C-2 is slightly ahead but we'll have to wait a few years for a final decision to be made. Last edited by Max Q on Thu Feb 15, 2018 11:03 am, edited 1 time in total. Where exactly does the C2 fit in ? Can it operate on unimproved airfields? Well the C-17 is now out of production and no more are available. To add to the above the IL-76 has been updated and looking for exports, also add the Chinese Y-20 which I expect to soon be offered for export. The C-2 does not operate from unimproved runways but it is very capable of short take off and landing on a standard runway. Saying that, it has been weather tested in Japan and is capable of landing on snow and ice. The lack of experience Japan has in the export market is a huge factor. It does benefit from using the CF-6 which is still in service with a large number of airlines and military customers around the world so engine support shouldn’t be too much of an issue. As for where it fits, countries like NZ and the UAE have expressed an interest in the capability. While it doesn’t have that unimproved runway performance it comes in significantly cheaper than comparable aircraft while still having the capability to land a significant payload. For nations that have no requirement to land an AFV to a forward deployed dirt strip, and that list of nations is many, the C-2 offers military transport capabilities at a comparatively affordable price. The C-2 also has significant commonality with the P-1 maritime patrol aircraft so in some cases a military will be able to leverage two specialised aircraft and have a reasonably common spares and maintenance pool. I read in the current issue of 'Air International' magazine that one Y-20 was offered to Bangladesh recently in a package of military planes from China, so I guess the Y-20 is now available for export. Good to know. Seems like a larger aircraft than Bangladesh probably need but I am sure they will find a use for it. Why do you think the C-2 cannot replace the 757 in NZ service? From a capability perspective the C-2 has a longer range with the same payload and can carry outsize payloads included NZ helicopters and AFVs. It won't impress the NZ public as much at airshows given the NZ 757s had built quite the reputation for demos but that clearly shouldn't be a determining factor. If the Herc and 757 roles can be bundled into one, it would probably be beneficial for operations. Especially if it allows for a smaller transport to slot in for the short-range work. It is NZ we are talking about, they aren't storming around the Pacific bringing wayward tropical islands into line. The C-130J is a good possibility given NZ already have a fleet of Hercs but not sure why the 788. Given none of that is available for the 787 family I don't see it as an option for NZ. The A330 MRTT would be a better fit if NZ really want another commercial airlifter that encompasses the roles the 757 is used for, problem being the A330 is probably too big. The only thing the C-2 doesn't do out of the box is the passenger/ministerial transport bit. And that can either be a limitation accepted by the NZ government or they could always buy a single different aircraft to fulfill that role. problem being the A330 is probably too big. If the A330 is too big, then they can go for the 767-200C. That plane will have provision for a military transport without the boom attached. The C-40 is also available but that may be too small. I would assume they could also go the way of many other governments and charter a commercial aircraft for the few situations where the need arises. Another option would be a BBJ/ACJ style transport dedicated for that role, which is again a choice many smaller countries made. I'm not sure how good the C-130 is for trips to Antarctica and the ranges the pacific demands. But at the same time, the C-130's rough field & STOL capability makes them unreplaceable for missions like disaster relief. Perhaps the A400M's capability would be satisfactory for NZ but probably not (should they choose to go for a single type). Agree that the 787 is not an option. installed and what is it exactly? I believe it's just a folding ladder that can be deployed from the L1 door or cargo door. As to what it's for, well, what it says on the tin. Lets the crew get on and off without any ground equipment needed. Personally right now I'd say the C-2 is the frontrunner for the RNZAF C-130 replacement. The lack of austere capability is a loss, but not a huge one in my eye. Especially as helicopters and UAVs improve. The main competition will come from the Embraer KC-390. If the Japanese government thrown in some P-1s at cost then that could make a difference. The biggest capability requirement I see is being able to do CHC to Antarctica with no point of no return and a reasonable payload. After carrying almost 6000 passengers and 2.5 million lbs of cargo to McMurdo Base the RNZAF Boeing 757 has made the last Antarctic flight of the season. The total weight of cargo and people moved this season is more than 5 million lbs. It’s a massive joint operation between the US and New Zealand to provide airlift services to the Antarctic. The US provides C-17 and LC-130 ski-equipped Hercules and New Zealand provides C-130, P3 and B757 aircraft, which land and take off without skis, to transport freight and passengers to the Antarctica. The biggest risk for Antarctic flying is the remoteness. The weather is extremely changeable and can make the journey extremely difficult. Speed is essential in getting all passengers loaded and away as quickly as possible as the weather can change dramatically on the ice. There is a strict criteria for aircraft serviceability and how to deal with malfunctions in remote areas. The B757 doesn’t have enough fuel to go to the Antarctic and return to New Zealand without refuelling. As the flight one way is approximately four and a half hours, the ‘point of safe return’ is three hours into the journey. After that point, if the weather deteriorates, or the aircraft malfunctions, the aircraft can only proceed South. It can’t turn back. The B757 can take up to 156 military and civilian passengers including scientists and researchers heading to the base for research purposes and carries everything needed to make a Base work, such as chefs, cleaners, electricians, construction workers and operations staff to help build and maintain the facilities at Antarctica. Ummmmm, the 757s and C-130s do not have the capability to do an Antarctica trip with no point of no return. As the highlighted point of your quote says. This came to a head for the previous government when it nearly lost a 757 with a senior government minister on board as the weather became terrible after the 757 had passed the point of no return. I'm sure the C-2 will be capable of doing CHC-Antarctica with no point of no return. My wondering is more can it do that while carrying a useful payload. It is worth noting that the new fleet supply ship for the RNZN will be ice strengthend explicitly so it can do supply runs during the summer. This may lighten any requirement for heavy payload requirements. If I am not mistaken, both C-130 and C-2 have the in-flight refueling capability. RNZAF C-130s don't. And that also assumes in the future the NZ government have the RNZAF build that capability and maintain it. Which does not come for free and there is really only one mission the RNZAF do that would need it. New new supply vessels ability to resupply Antarctica is a bit of a stretch, she can carry 12 containers, the current vessel supporting the NZ and US bases carries hundreds of containers. She would have to make dozens of trips to lift what one supply run using the existing vessel does. Sorry, I wasn't clear. What I was inferring was that the 757s fly to Antarctica and the C-2 would be able to as well. The respective payload would significantly impact whether the C-2 had a point of no return but I'm not sure that really matters that much. I appreciate the potential issue that an NZ minister had but there are few military transports within the budget of NZ that would offer that point of no return, unless NZ did go for an A330 or similar sized widebody, which as discussed is doubtful. Well, I have to say, I'm picturing the response on the Civ Av forum to the notion that the ideal 757 replacement is a military airlifter! It's not really a case of what they were designed for, but what is needed. The 757 provides speed and range over the Herc, useful for getting about the Pacific, but is more constrained in terms of loading with the side door and cross-section, need for support gear and a prepared field. If the C-130 replacement comes with the range and speed of the 757 (which the C-2 seems to bring), allowing for heavy gear such as vehicles and helos to be moved anywhere needed, does a direct 757 replacement have sufficient benefit given NZ does not have a particularly large budget and a significant portion of the RNZAF fleet needs to be replaced? A 788 mostly be a political bus. Probably more useful would be a smaller tactical lifter to slot below whatever replaces the Hercs, to take over lifts which do not justify the larger aircraft, training and coastal SAR/patrol. Many in the general public remember the loss of the Combat Strike Wing in 2001, but few think of the Andovers (retired 1998) or F27s (retired 1992). I'm not sure how good the C-130 is for trips to Antarctica and the ranges the pacific demands. But at the same time, the C-130's rough field & STOL capability makes them unreplaceable for missions like disaster relief. The H-Hercs have been a great asset for the past 53 years and show a Herc can do it, but there are limitations. 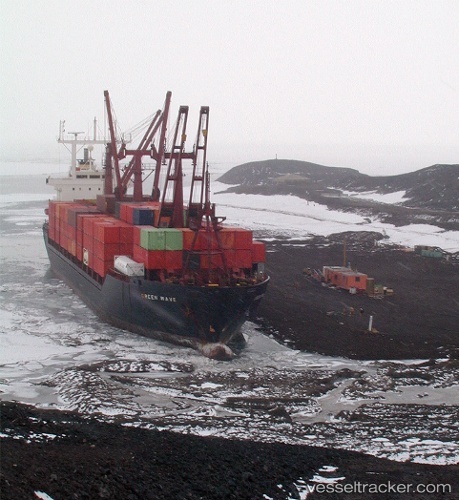 The point of no return to Antarctica is a big one, and while they have been operated to Antarctica for many years with this, the ability to avoid such a safety issue is desirable. An aircraft like the C-2 also means getting over that patch of water a bit faster. Not on the RNZAF's current Hercs, which include the first H-model built, but the potential replacements do indeed have that option. Would need to borrow an RAAF KC-30 though, as the RNZAF hasn't been able to air-refuel anything since the Skyhawks. If the C-2 can make it without refuelling, perfect. I think what the Minister thing brought to the attention of the government was the very real risk they could lose a transport and its crew and any passengers. The reaction in NZ to something like that would not be good. Especially if it was reasonably avoidable. And after thinking about it for a bit I do think it's possible the NZ government could go for a C-2 replacement with a single A330 MRTT without the refueling equipment. As Australia also operates the type we could take advantage for some lower ongoing costs. Anyways, that's really all up in the air until the release an RFP that contains the must have requirements. After that's out then we can really start to guess. That's a hell of a clean cockpit. Well done! So clean there’s no left seat installed ! Thanks, some interesting changes between the two such as the HUD similar to the C-130J. out of unimproved fields why have ‘C130 like’ floor level side windows in the cockpit ? The C-2 was designed with short take-off/landing performance as a key feature due to the prevalence of short runways in remote island locations in Japan. Consequently the cockpit is designed to accommodate a higher-than-usual approach angle, and, therefore, the instrument panel top and its glare shield is kept as low as possible. The rather unwieldy appearance of the instrument panel top/glare shield is an unfortunate result of that requirement. Things are not so rosy at the moment for the C-2. A low production rate and claims of a lack of domestic competition in the Japanese Defence Industry has significantly increased the cost of the aircraft. If the production rate stays the same (essentially two per year) the acquisition cost is likely to be the same or higher than the A400M. The new price of 23.6 Billion Yen puts it at approx US$210 million per copy and probably now only within the budgetary reach of Middle East customers. 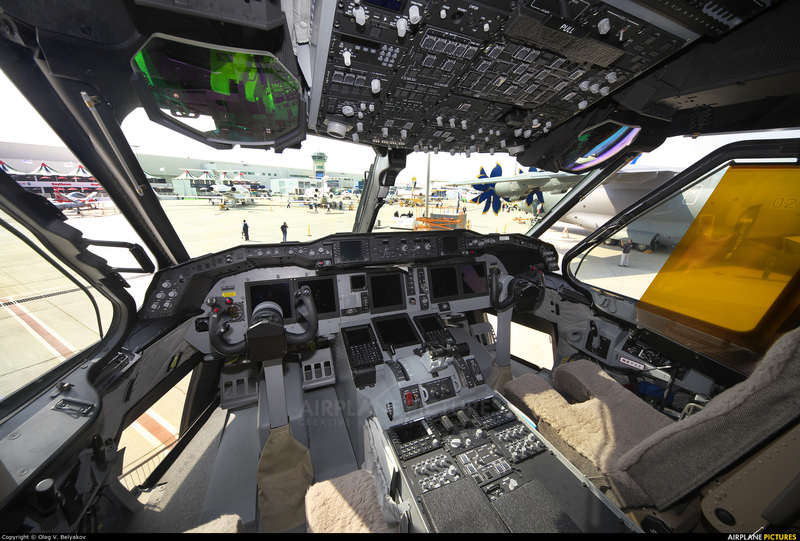 Skyrocketing costs in the unit price of an Air Self-Defense Force transport aircraft Japan is trying to produce on its own are shining a spotlight on the whole process of procurement, from cost accounting to cost management. When the Defense Ministry first placed orders for the C-2 in fiscal 2011, each aircraft was priced at 16.6 billion yen ($150.2 million), according to government sources. Since then, the cost has risen by 7 billion yen, or 40 percent. The ministry intends to acquire two of the aircraft this fiscal year. Despite calls to switch to an alternative model, ministry officials clung to the argument that soaring costs were inevitable in light of rising prices for components and other factors. According to insider documents and sources involved in the project, the unit price of the C-2 fell slightly to 16.5 billion yen in fiscal 2012, but has since risen sharply. It is currently priced at 23.6 billion yen. The proposal was made by a subcommittee of the Finance Ministry’s Fiscal System Council. A Defense Ministry official explained that soaring costs for the C-2’s engines, which are purchased from the United States, and the weaker yen on foreign exchange markets were partly to blame. But experts point to structural problems in the defense industry, where the principle of competition barely exists because of the limited availability of companies that can undertake such projects. The price assessment for the C-2 relies on a system called “cost calculation method,” whereby the contractor’s profit is added to the prime cost, including that of materials and labor. Part of the prime cost, including processing expenses, is calculated on the basis of documents and materials prepared by the manufacturer. Some experts suggest that is an open invitation for soaring costs as contractors have few incentives for suppressing the prime cost. This has spurred rising calls within the government for more thorough cost management efforts ahead of a revision late this year to National Defense Program Guidelines. Markets have limited coverage in the defense industry because it is such an exclusive club, so “market prices” are often nonexistent. This means the Defense Ministry has to rely on the cost calculation method. One government official remains unconvinced. The Defense Ministry has put expensive items of its mainstay defense equipment, including the C-2, under a framework called “project management,” which consists in managing a “life-cycle cost,” or the total cost covering all five stages of (1) design (2) research and development (3) mass production and deployment (4) operation and maintenance, and (5) scrapping. Although the system was introduced to ensure reasonable costing, the life-cycle cost per unit of the C-2 has risen from 43.2 billion yen in fiscal 2009 to 60.7 billion yen under a projection released last August. The cost per unit per year has almost doubled from about 1.1 billion yen in fiscal 2009 to 2 billion yen in the current plan. “Cost management has obviously failed,” the government official said. Revised National Defense Program Guidelines and a new Mid-Term Defense Program are scheduled to be drawn up late this year. The National Defense Program Guidelines outline the shape of Japan’s defense capacity over the coming decade or so, whereas the Mid-Term Defense Program defines, among other things, goals for the development of key defense equipment over a five-year period. Putting the cost calculation method under constant review would likely make it more precise and enable more effective project management, experts say. The Defense Ministry is now discussing new contractual terms with manufacturers to curb the surging costs for C-2 aircraft, a senior ministry official said June 27. The ministry is weighing the option of a contract with a joint venture of makers involved. Kawasaki Heavy Industries is currently listed as the primary contractor. According to ministry sources, KHI is responsible for final assembly of the aircraft using components manufactured by other companies, including the main wings and vertical tail fins made by Subaru Corp. and backward fuselages supplied by Mitsubishi Heavy Industries Ltd. 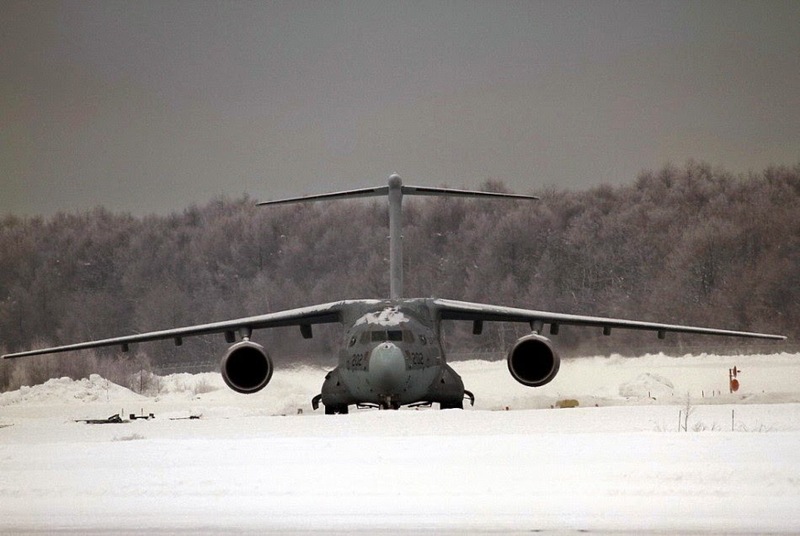 The C-2 transport aircraft is 44 meters long from nose to tail and has a wingspan of 44 meters. It stands 14 meters high. Development of the model began in fiscal 2001. The C-2 has about three times the payload, and about four times the cruising range of its predecessor, the C-1. The development cost was in the region of 250 billion yen. Budgets have been set aside for 13 C-2 aircraft through fiscal 2018. Five has so far been deployed at the ASDF Miho Air Base in Tottori Prefecture. The C-2 aircraft is designed to transport troops and equipment during a military contingency in Japan as well as supplies in times of disaster. It is also intended for use overseas in U.N. peacekeeping operations and humanitarian aid missions. That probably kills any chance of NZ acquiring the type. Even any ME customers too. Better news for the A400M (not that the C-2 had a lot of international interest) though. Ouch. A price spike and no rough field capability. Yeah, I'd say its off the shortlist. I'll have to look up and compare the KC-390 to the C-2 as they seem to be equivalentish from the outside. The KC-390 is 26t to 1150nm while the C-2 carries the same 26t about 3500nm. The C-2 has a higher and wider but similar length cargo compartment. The KC-390 does have rough field and AAR capabilities though to balance out the reduced payload range. I haven't seen any feedback on how the aircraft performed but would be interested to know if India see any potential in the C-2 platform going forward. The Japan Air Self Defense Force (JASDF) and Indian Air Force (IAF) are conducting their first joint air exercise, dubbed Shinyu Maitri-1 (“true” or “best friend”), focusing on joint mobility and humanitarian assistance & disaster relief (HADR) operations from December 3 to 7 in the northern Indian state of Uttar Pradesh, according to the Indian Ministry of Defense (MoD). This is not the only activity of the JASDF this month in India. Notably, elements of the JASDF will also observe the first iteration of a U.S-India bilateral air warfare exercise known as Cope India in over a decade. The exercise is taking place from December 3 to 10 at Air Station Kalaikunda and Air Station Arjan Singh, both of which are in India’s eastern West Bengal state and will involve U.S. F-15C/D Eagle fighter jets, C-130 Hercules transport aircraft, as well as Su-30MKI Flanker-H, Mirage 2000 fighter jets, and Jaguar combat jets, among others, on the Indian side. As my colleague Ankit Panda reported earlier, India and Japan also concluded their first land-based joint military exercise last month in the northeastern Indian state of Mizoram. “The primary focus of the exercise was to train and equip the contingents to undertake joint counter-insurgency and counter-terrorist operations in urban and semi urban terrain,” according to a November MoD press release. While military cooperation between the Indian Army and the Japan Ground Self Defense Force as well as the two air forces remains in its infancy, the Indian Navy and Japan’s Maritime Self Defense Force (JMSDF) have been forging closer ties for a number of years. Notably, India and Japan have started formal negotiations over a so-called acquisition and cross-servicing agreement (ACSA) this year, which would allow the Indian Navy access to a Japan Maritime Self Defense Force (JMSDF) base in Djibouti, while the latter would be allowed to use Indian naval installations on, for example, the Andaman and Nicobar Islands located in the Indian Ocean, next to other naval facilities. In the fall of 2017, the Indian Navy and JMSDF also held an air-based anti-submarine warfare exercise in the Indian Ocean. Furthermore in 2015, Japan also became a permanent member of the Malabar naval exercise involving aircraft, ships, and personnel from the Indian, Japanese, and U.S. navies. The 22nd rendition of the naval exercise took place in June 2018 off the coast of Guam. The images last year of a C-2 variant being tested for EW have now been confirmed with Japan seeking to operate a dedicated EW version of the aircraft. This should increase domestic numbers by at least four or five and perhaps as many an eight although I doubt it will sway too many potential export customers. An interesting choice to go for a modified C-2, which seems a bigger platform than may be required, when there are alternative options off the shelf in the marketplace such as the G550s mentioned in the article and reported interest in the EA-18G. According to a report in the Yomiuri Shimbun, Tokyo plans to adapt the Kawasaki C-2 tactical transport aircraft as an EW platform, with deployment planned for 2027. Citing sources, the report adds that the P-1 maritime patrol aircraft may also be adapted for the electronic warfare mission. Other media reports have suggested that Tokyo is interested in acquiring the Boeing EA-18G Growler, the EW variant of the F/A-18F Super Hornet. Tokyo’s recently approved Medium Defence Program reportedly calls for a greater emphasis on electronic warfare. There is a precedent for adapting the C-2 platform for other uses. In February 2018, images and video of a C-2 modified for electronic intelligence appeared on social media. The aircraft was conducting test flights from Japan’s Gifu air base. Modifications included large blisters aft of the wing, several antennas under the fuselage, and a dome on the upper part of the fuselage, aft of the cockpit and forward of the wings. In addition, the top tail was modified with an additional fairing, while the radome is larger than on the baseline C-2. Japan’s strategic rival, China, is also boosting its electronic warfare capabilities. Among other efforts, it is developing a two-seat variant of the Shenyang J-15 and J-16 fighters with pods that resemble the Northrop Grumman AN/ALQ-216 wingtip pods used on the EA-18G. In addition, US ally Australia has 11 EA-18Gs – the 12th was lost in an engine fire during takeoff. In 2018, L3 Technologies secured an $83 million deal from Canberra to upgrade two Gulfstream G550s to the MC-55 electronic warfare version. Flight Fleets Analyzer shows that the Japan Air Self-Defence Force operates a fleet of eight C-2s, with an additional 14 examples on order. Seems like a big aircraft for EW. I would think the MRJ would be a more suitable option, and keeps production domestic. But I'm guessing it's more to do with increasing the production numbers of the C-2. The Kawasaki C-2 transport aircraft made its first public appearance in Australia after a flight from Japan via the Philippines. The twin-engined aircraft appeared in the static park near the Airbus Defence & Space A400m, to which it is the most similar in size. The aircraft was one of the rarer large aircraft at the show, with only eight in service with the Japan Air Self Defense Force. The JASDF has a budget for five additional examples, and the total fleet is expected to grow to 20 examples. That does not include the electronic warfare variant, now undergoing testing, says a representative of Japan’s Acquisition, Technology & Logistics Agency (ATLA), which developed the aircraft. The purpose of the type’s visit to air shows, he says, is not to promote exports, but to demonstrate Japan’s advanced technology to the world. The C-2 has unique features for a military transport, including a cargo compartment that is even higher than that of the Boeing C-17. In addition, it has two lavatories, and shares a number of common elements with the P-1 maritime patrol aircraft, such as the large windscreen, which affords excellent views from the cockpit. seeing large modern transport aircraft flying has given me an appreciation for the benefits of modern systems in regards to maneuvreability, the C-2 showed very fast and precise roll control. The short wingspan obviously helps but the systems are what gives the confidence and safety. It shouldn't come as a surprise seeing as fly-by-wire was championed for highly maneuvreable fighters in the first instance. Are the hold dimensions available?